The financial services and fintech specialist agency Teamspirit has announced its newly created leadership team will be led by managing director Adam Smith. Adam Smith and Kirsty Maxey. He will be responsible for driving the growth of the PR team and will report directly to CEO Kirsty Maxey. The new management structure sees Adam join the Teamspirit group board with immediate effect, along with fellow PR director Jo Preston. Maxey retains responsibility for integrated comms across the wider agency, including digital, creative and advertising. "Adam brings a wealth of industry experience and communications insight to his new role as managing director," Maxey said. "During his time with Teamspirit he has developed a detailed understanding of our culture and fully integrated comms proposition, and I look forward to working with him as we continue our expansion throughout this year and beyond." Adam will be responsible for growing Teamspirit’s footprint in the financial services sector, whilst continuing to develop fully integrated, multi-channel campaigns for clients. He said: "Teamspirit has one of the best, most creative teams operating in the financial services market today, and I feel genuinely privileged to be leading them. 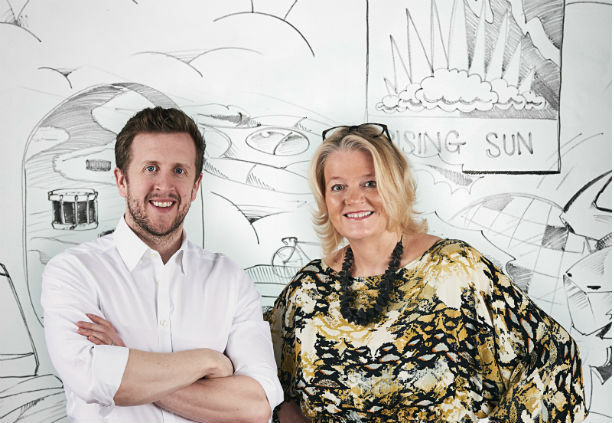 My number-one priority is to ensure we continue to deliver award-winning campaigns and results for our clients, which will ensure our business continues to grow, too."